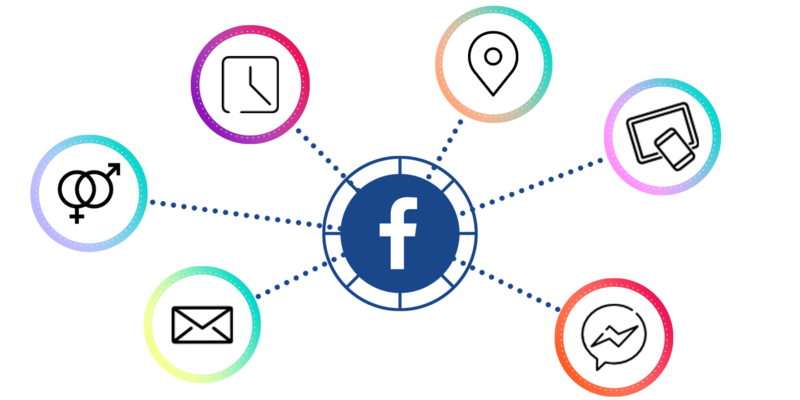 According to the early tests, Facebook claims online business have seen up to 180% higher retention when users opt into receiving the push notifications. Are you ready to unlock the secret to building a HUGE contact list and get open rates of over 90% every time you send them a message? What is the very first thing you do when you log into Facebook? Well if you’re like 90% of the people in the world you see that little red notification number and you click it. You see Facebook has trained people to click to view their notifications, they do it without even thinking! 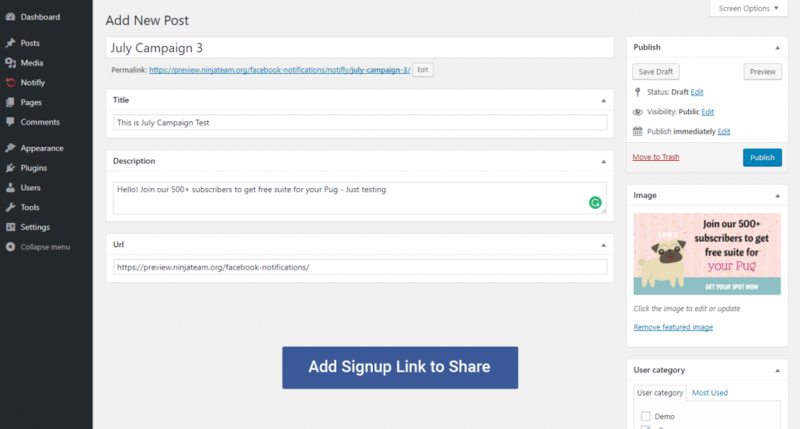 So you can send people directly to any URL on your website (or outside your domain) based on their interests or actions on your website. Adding Notifly to your existing marketing channels to reach and engage your user might be the smartest marketing move you did this year. 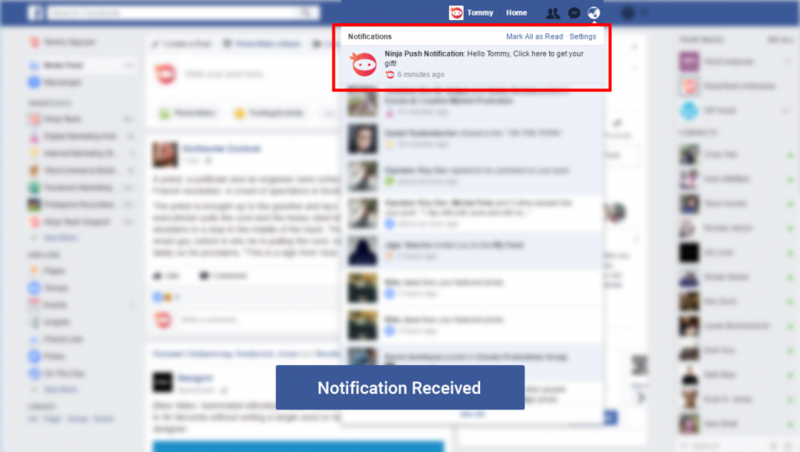 Here’s how to start sending Facebook Notifications using Notifly. When a user reaches your order page, but leaves and abandons your site without buying. Woah, [first_name], did something get in your way? Click here to checkout and finish your order. Version 1.5 with Killer Features Now Available! Click to see what’s new! 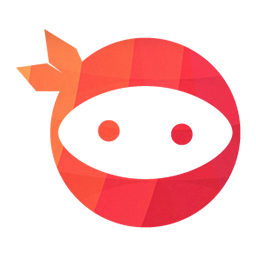 Q: Can I use Notifly if I’ve never touched Facebook Apps? A: Sure! You don’t have to read through Facebook for developers Docs. 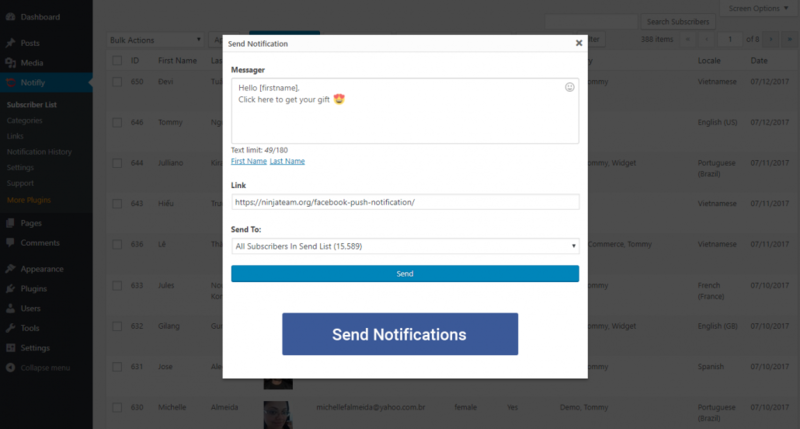 Notifly is ready made for you to setup and send the first notification in only 5 minutes. Q: Does Notifly in any way violate Facebook’s Terms of Service? A: This is a Facebook feature. They allow web game apps to send notifications to their audience. 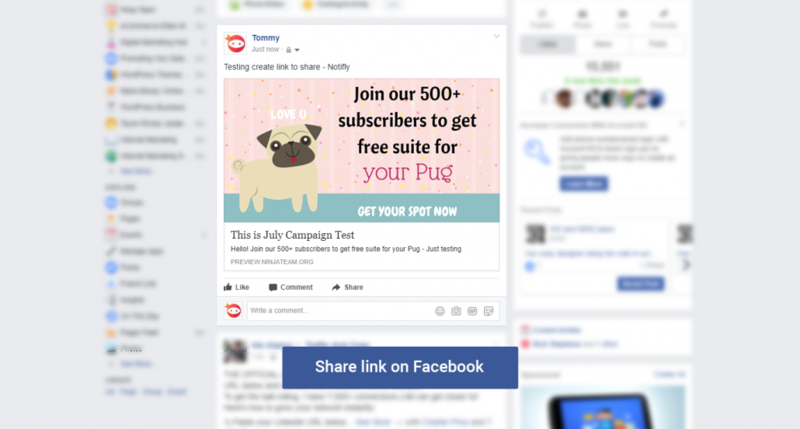 It works because that’s the way Facebook wants it to work. Q: Can users on mobile jump to the URL I specify as well? This notification feature was initially built for Facebook web games, that’s why it’s not redirecting on mobile devices at the moment. This policy might be changed in the future. Q: Can users on mobile click the button to subscribe? A: Sure thing! The button Click-to-Subscribe works on all mobile devices, desktop and laptop. 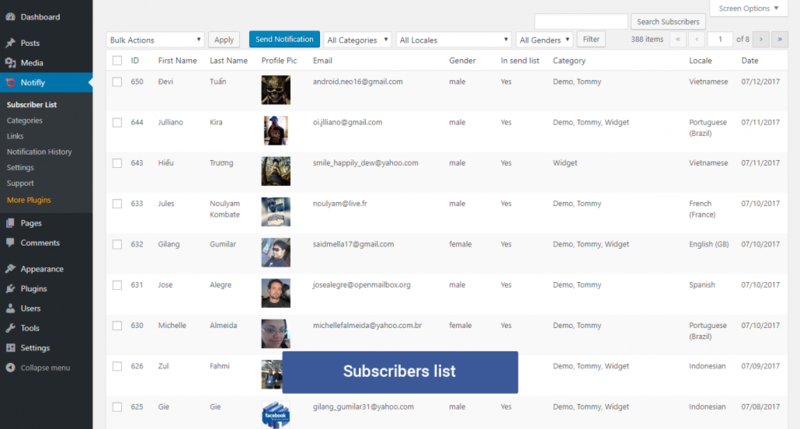 It maximizes your chance to collect your customers’ contacts via subscription. Q: How to track how many people has read or clicked the notification? 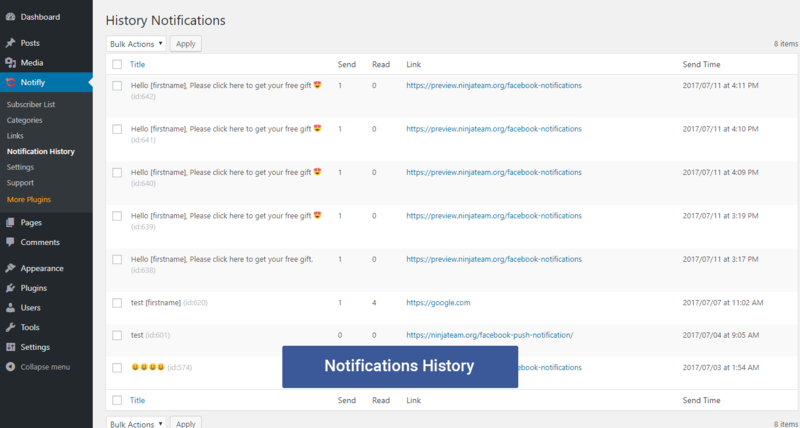 A: Notification History shows Sent & Seen report of every notification campaign you set. You also can track clicks using shortened link as landing URL. Q: Can I have user personal information other than their Facebook profile? A: Yes, you can! Apart from basic information (Full name, Gender, Profile picture, Locale…) you also collect their EMAIL. All of these data are shown in Subscriber List! 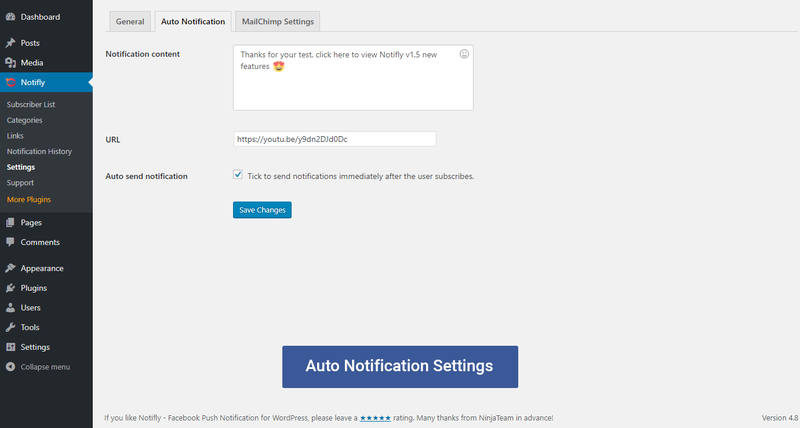 Q: Is Notifly compatible with all browsers? A: Yes. 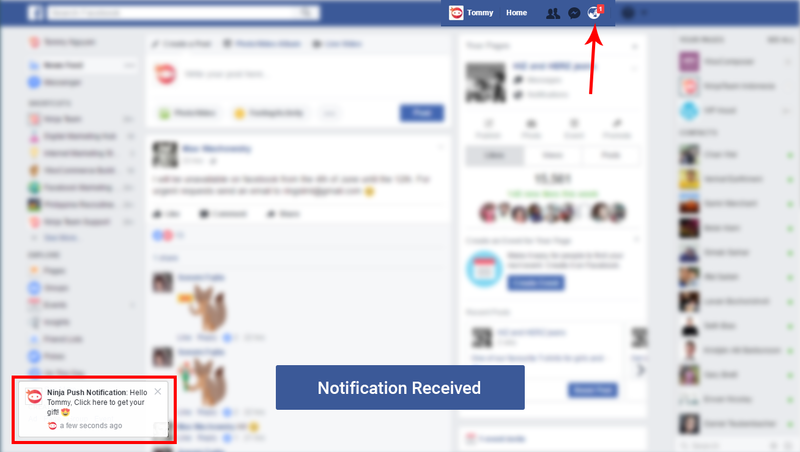 Get Notified buttons, Facebook notifications at bottom left toast and in notification drop-down tray shows on ALL laptop and desktop browsers. Q: How can I make sure if Notifly will not make my audience upset? A: Personalize your messaging by including your customer’s details. Use relevant emoticons for more friendliness. And treat them the way you want to be treated. Q: Is Notifly a good choice if my fan page doesn’t have regular engagements? 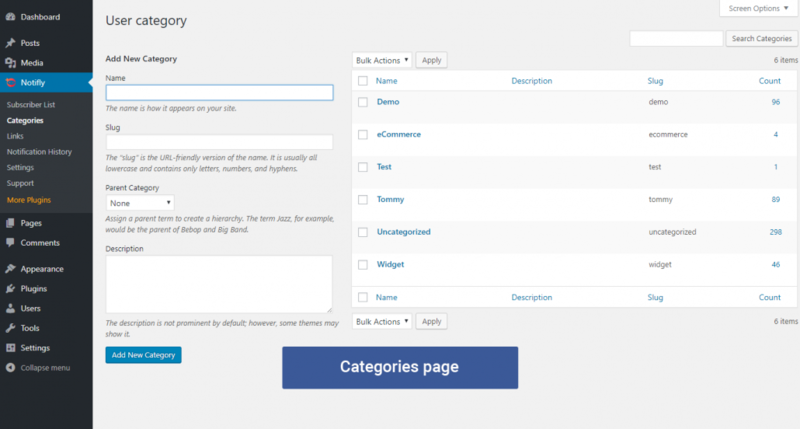 A: Notifly is ideal for all fan pages, including newly-set and long-lasting. Why? 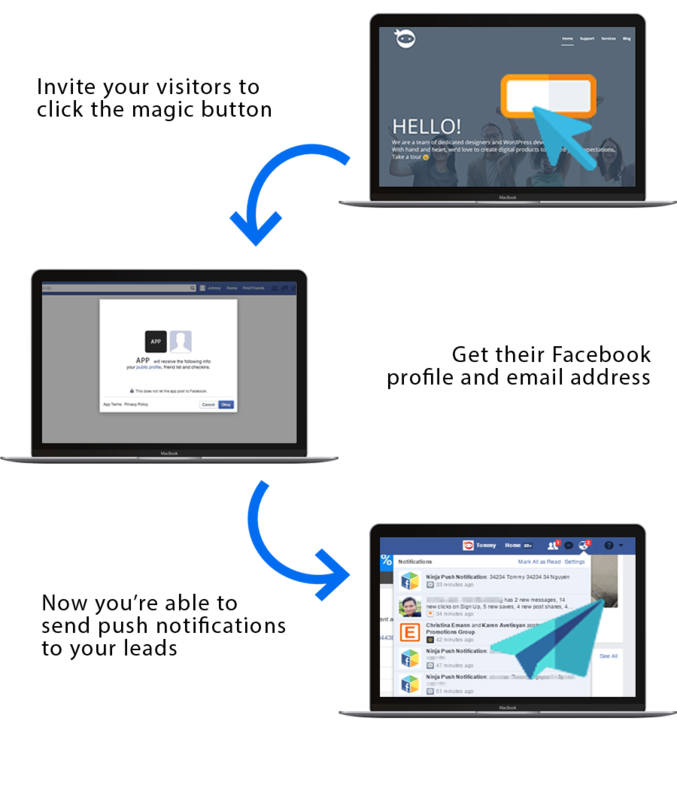 Unlike Messenger Auto-Reply, Notifly triggers clicks from your website first and then generates Facebook leads for your business. Q: Can I apply my affiliate links to the landing URL? A: Of course! You can put ANY URL in Notifly. Very effective to send your audience to any site in just a click, and track which campaign delivers the most customers. Q: Is Notifly really gonna reduce my ads cost? 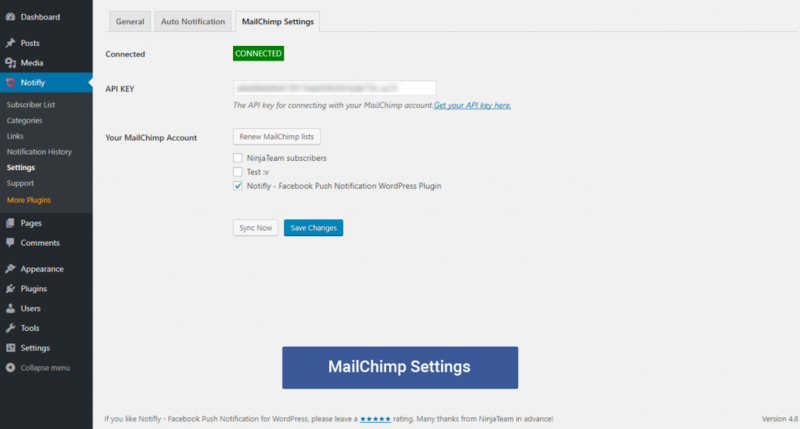 A: You can retarget your customers via Notifly unlimitedly! And you don’t have to spend any money! The campaign results depend on how good you are at clickbait headlines. Q: What if I can’t get it working? A: That’s the last thing you need to worry about. 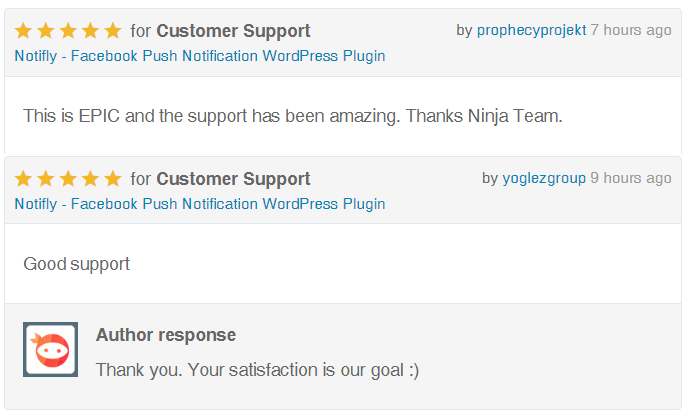 Just drop a line at m.me/ninjateam.org or the chat box below, and you’ll see responses from our supporters on live chat 24/7.